Los precios de los productos y la disponibilidad son correctos a fecha 2019-04-16 22:16:17 BST, pero pueden cambiar. La información de disponibilidad y el precio correctos serán los que se mostrarán en http://www.amazon.es/ cuando finalice la compra. 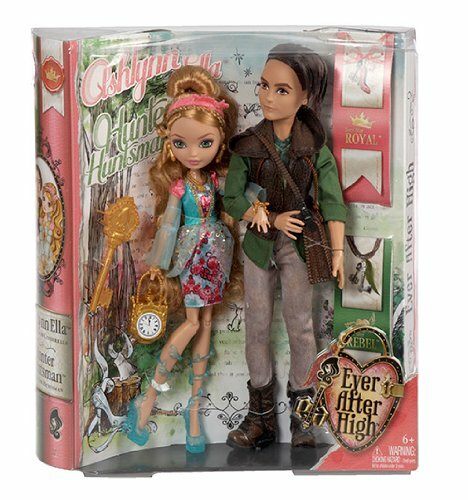 Consigue de forma segura, rápida y al mejor precio el fantástico Ever After High - Muñecos de Ashlynn Ella y cazador por Mattel. 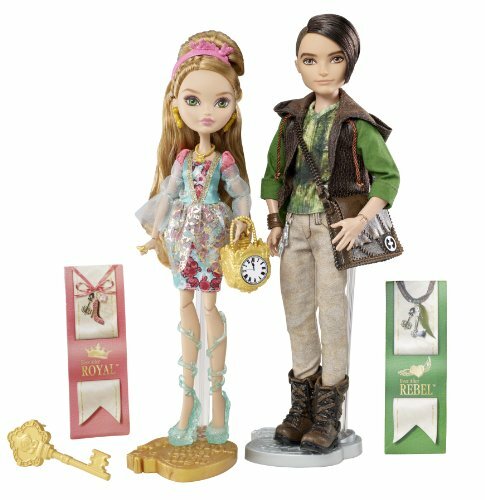 The worldÕs most spellbinding stories are getting turned on their crown at Ever After High, a high school for the teenage sons and daughters of famous fairytale legends. 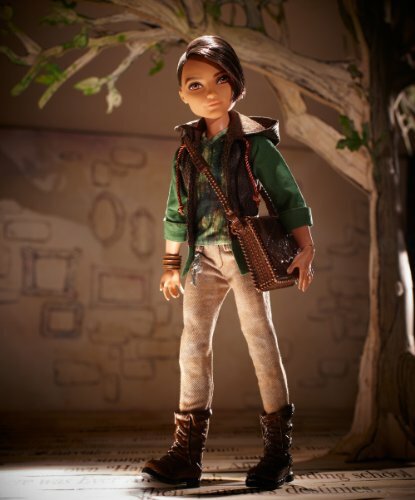 Ashlynn Ella, daughter of Cinderella, is one of the Ever After Royals, while her beloved Hunter Huntsman, the son of a Huntsman, is one of the Ever After Rebels. This cute couple wants to live a Happily Ever After, but thereÕs just one problem Ñ Ashlynn is expected to marry a Prince Charming, not a Huntsman! 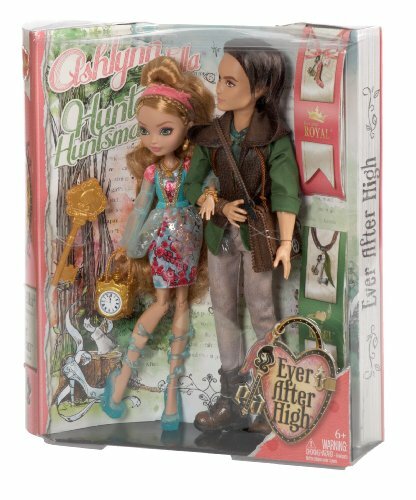 Now girls can play out their sweet story with the EVER AFTER HIGH ASHLYNN ELLA and HUNTER HUNTSMAN Dolls, dressed in enchanting outfits that add modern twists to their classic storybook-inspired looks.